The acronym “SUV” entered common usage sometime in the mid-1980s, but the sport utility vehicle has been around for much longer. Some argue that the first SUV was built in 1935, while some contend that the Model T was the original in 1908. For the purposes of discussion here, we’re going to define an SUV as a rugged two- or three-row wagon, usually built on a truck-based, body-on-frame platform, with standard or available all-wheel drive or four-wheel drive. We’ll consider the entire run of an SUV’s lifetime, not just a single model year or generation – but we won’t include reboots of discontinued vehicles. “Best” is an entirely subjective term, so we’ll explain what it means relative to each vehicle. It might be design, engineering, capability, or influence – or it just might be character. Here (in alphabetical order by brand) are the 10 Best SUVs of All Time. The 1935 Chevrolet Suburban is regarded by many as the first SUV, and has evolved over 11 generations as one of the best of all time. Suburban is a full-size three-row SUV, and for decades it has been built on the same platform as the General Motors full-size pickup trucks. The Suburban makes our list not only for its unmatched longevity as a nameplate, but for its straightforward functionality. It is a big, comfortable people mover that also can do an astonishing amount of work with a pickup-like payload and towing capacity. 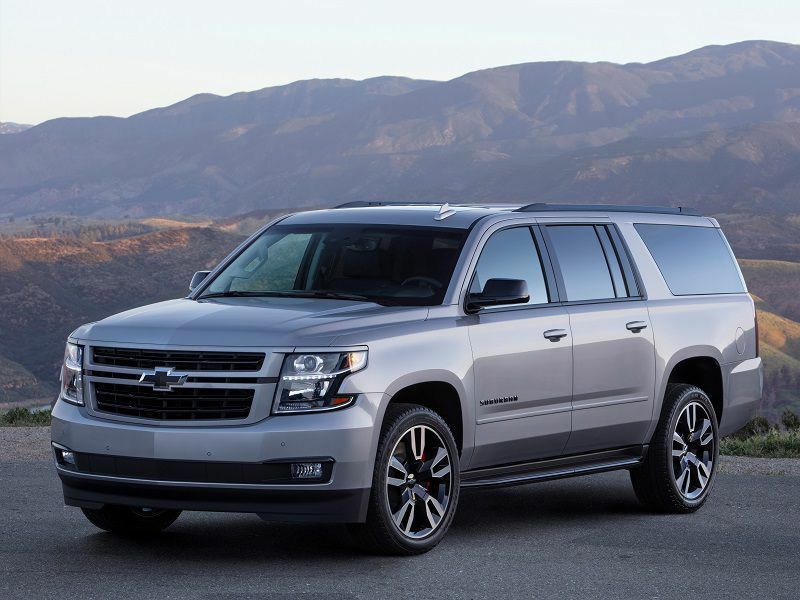 Along with its GM platform-mates, the GMC Yukon/Yukon XL, Cadillac Escalade, and Chevrolet Tahoe, the Suburban is a perennial favorite for family road trips and adventures across the United States. 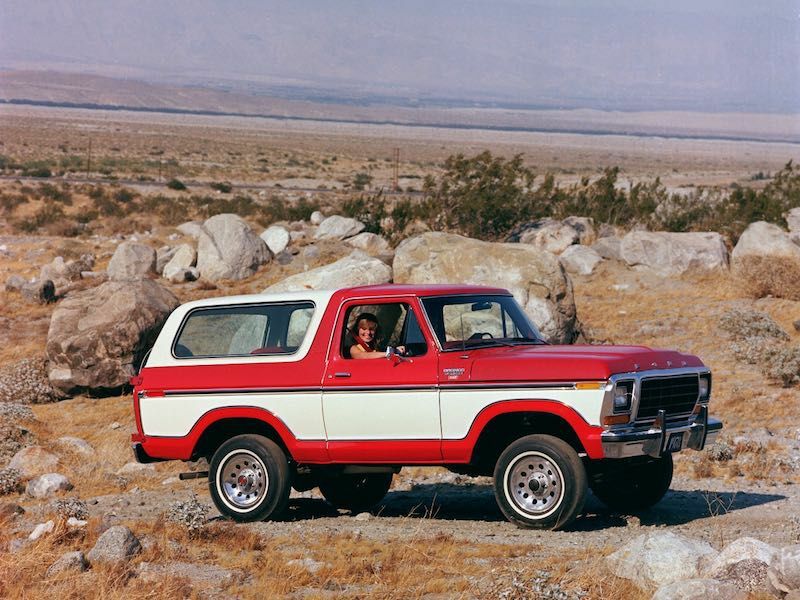 The Ford Bronco started out as an answer to the Jeep CJ-5 and International Harvester Scout. It was a simple, economical, off-road-oriented, compact two-door SUV that has become recognized as one of the coolest-looking vehicles of its time. 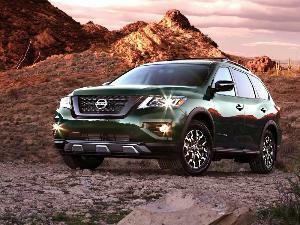 Budget-driven features like a flat windshield and side glass give it a boxy look, and a rugged body-on-frame platform. Early Bronco examples are sought out by aggressive off-roaders, who add lift kits, extended suspensions, and a wild array of accessories. In 1977, Bronco moved to the F-100 pickup platform, gaining it size and capability, but losing some panache. 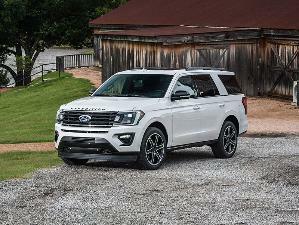 Still, the Bronco legend is strong enough that Ford plans to introduce an all-new 2020 Bronco that will revive the off-road SUV in its lineup after a 24-year absence – hopefully with even greater capability, and a dose of the panache that made the original Bronco one of the best SUVs of all time. The military-spec HUMMER H1 is an out-sized, diesel-powered beast of a vehicle. When General Motors acquired Hummer and produced a full-size pickup-based civilian H2, the outlandish result was overstated and excessive, and became a target for SUV haters. 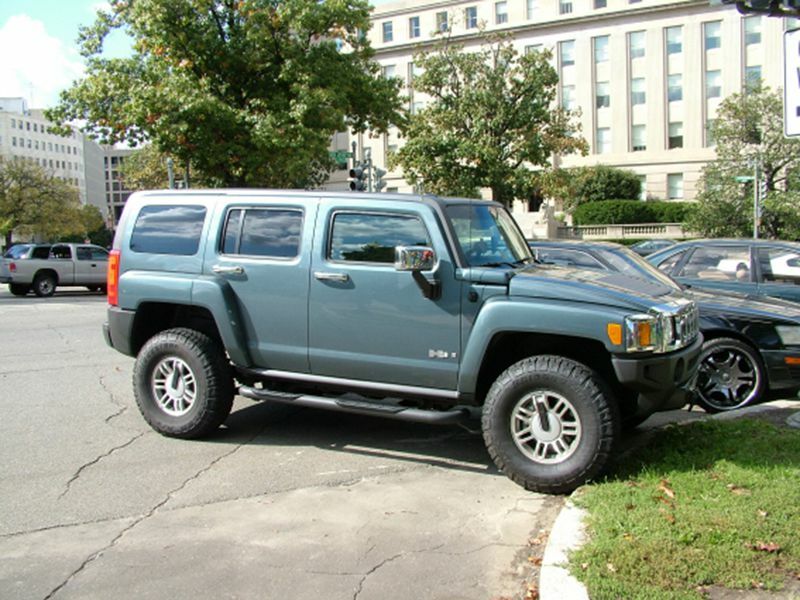 But the Hummer H3, which rode on the same platform as the GM midsize Chevrolet Colorado/GMC Canyon, struck a chord with fans who admired the military-inspired styling and pedigree, but were seeking a practical, capable SUV. 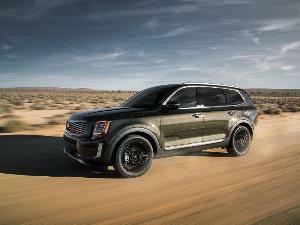 The first H3 SUVs came with 3.5-liter and 3.7-liter inline five-cylinder engines in 2006 and 2007. The H3 Alpha emerged in 2008 with a 5.3-liter V8 engine and other enhancements that transformed the SUV from a styling exercise into a beast of an off-road machine. Add to that a very cool Alpha logo on the outside and on the steering wheel, and you have one of the best SUVs of all time. International Harvester is nearly forgotten as a car brand today, but IH traced its roots back to the 1830s as an agricultural machinery company, the McCormick Harvesting Machine Company. McCormick merged with Deering Harvesting Company in 1902 to become International Harvester, producing large tractors. IH produced its first light-duty truck in 1907, the Auto Wagon. It made an SUV, the Travelall, to compete with the Chevy Suburban, and finally introduced the Scout in 1961. 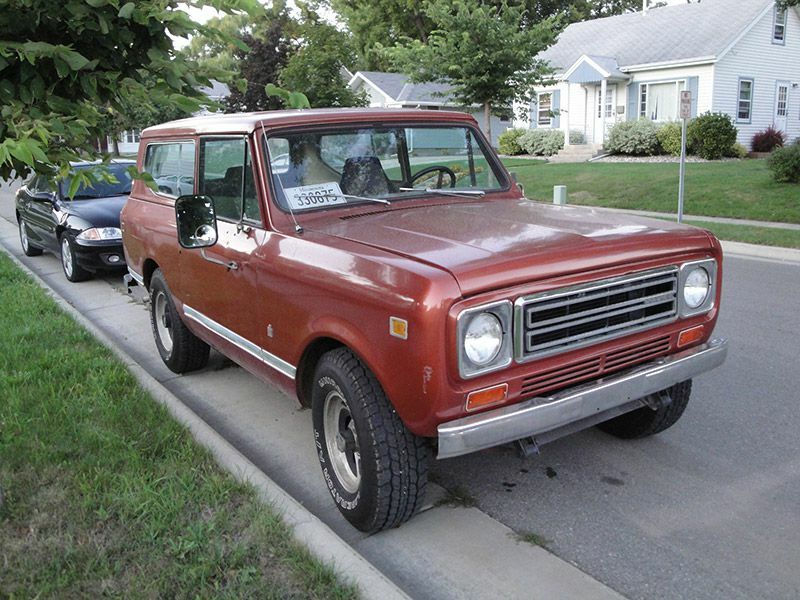 The Scout was a compact two-door SUV designed to compete with the Jeep CJ. It began life as a rugged, elemental vehicle with a fold-down windshield (like the Jeep), but over its development became more refined and comfortable. Scout could be ordered with a hardtop, a removeable fiberglass top, or convertible top over the course of its run, and was prized for its industrial look and great off-road chops. Based on the Jeep CJ-series (Civilian Jeep), the Jeep Wrangler is one of the few vehicles to which we’d attach the term “iconic.” Wrangler arguably is the best off-road SUV of all time, and certainly one of the most beloved. From its seven-slot grille to its flat fenders, fold-down windshield, and removeable doors, Wrangler is instantly identifiable in any generation of production. The compact SUV is now available with two doors or four doors, and is set up right out of the factory for off-road adventures over any terrain. More than any other vehicle, Wrangler is supported by a community of owners, after-market part makers, tour companies, and enthusiasts unlike any other vehicle. Built by the British Leyland company in Solihull, England, the sight of a Land Rover Series III instantly evokes visions of adventure in the remotest corners of the Earth. A midsize two-door or four-door SUV, the Series III evolved from the Series I (1948 – 1958) and Series II/IIA (1958 – 1971) vehicles. 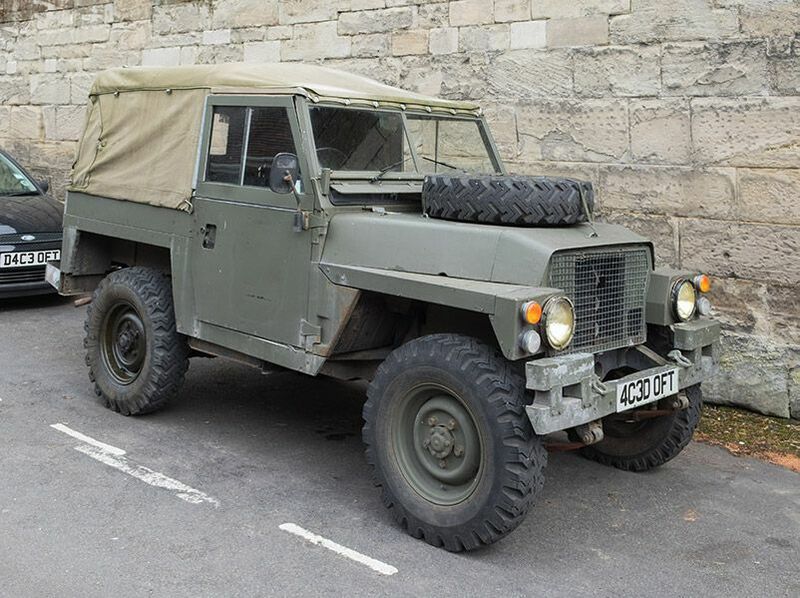 Series III SUVs are in service all over the globe, as more than 440,000 examples were produced. The rugged, go-anywhere, four-wheel drive Series III serve as agricultural vehicles, backcountry explorers, and safari companions. With timeless styling and rugged details, the Series III developed over the course of production from a tractor-like utility into a more comfortable wagon with passenger amenities, and hinted at the eventual upscale luxury vehicles that would populate the Land Rover lineup in years to come. The Range Rover originally was built as a more suburban, civilized version of the Land Rover Series III. It really came into its own beginning with its second generation of production in 1994, when the company began to add more creature comforts to the mix. A series of brand ownership changes followed, until the current stewardship of India’s Tata Motors stabilized Land Rover in 2008. 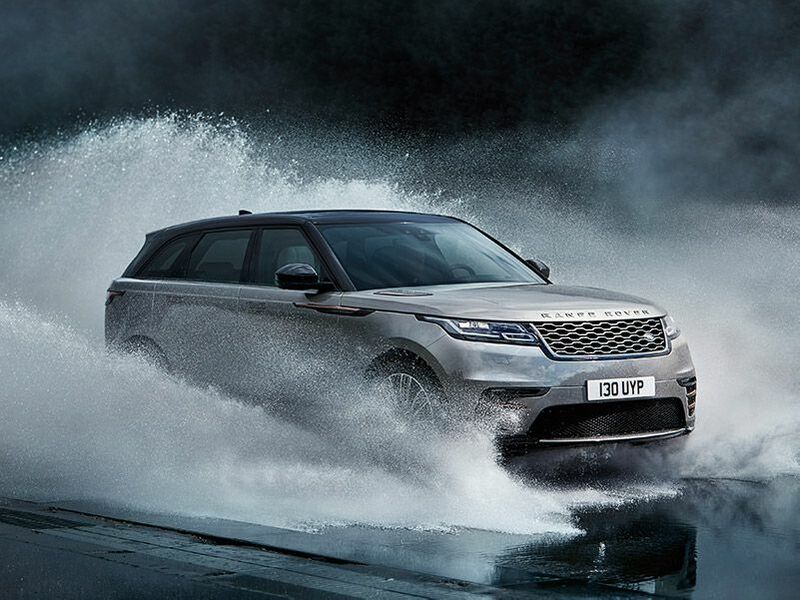 The current generation of Range Rover (2012 – present) is now recognized as a supremely capable and luxurious SUV. Uniquely among luxury suvs, Range Rover delivers upscale amenities and luxury features while still retaining monstrous off-road capabilities and a go-anywhere spirit. It’s not unusual to find Range Rover owners challenging their vehicles on the rock faces of Moab, all the while basking in air-conditioned comfort, listening to music on Meridian surround sound systems, with champagne cooling in onboard refrigerators, and sitting on Nappa leather ventilated seats. One of Mercedes-Benz’s longest running models, the G-Class has been in production since 1979, and available in the United States (officially) since 2002. 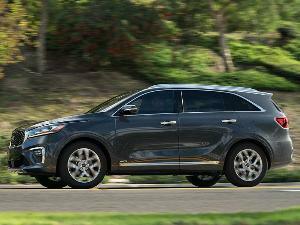 A second-generation vehicle debuted in 2018 with minor cosmetic changes and significant technological upgrades. G-Class, sometimes called G-Wagen or Geländewagen (German for “cross-country vehicle”), is a military-styled, boxy, body-on-frame midsize SUV that is unique for its three fully locking differential drivetrain. More than almost any other current SUV, the G-Class is capable of inducing cognitive dissonance with the contrast between its rugged appearance and its high level of luxury features and available high-performance, especially in AMG trim. 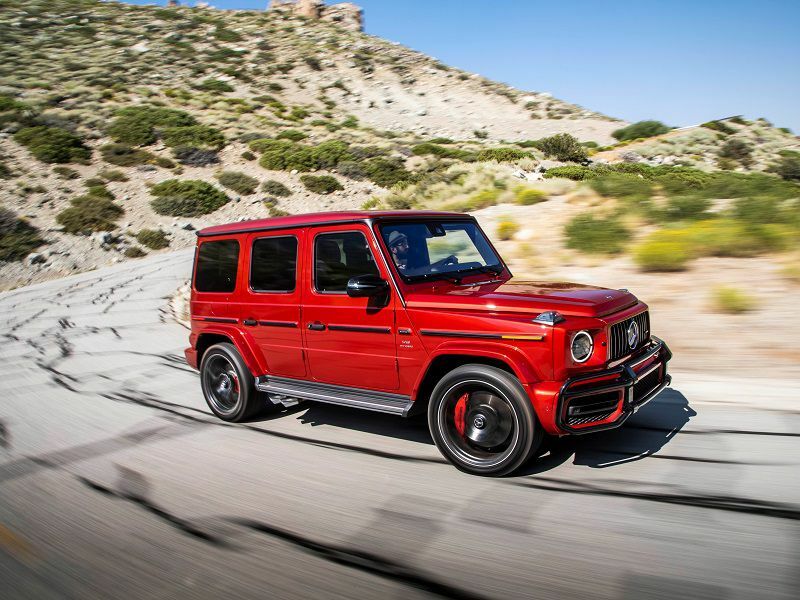 Top-of-the-line G-Class trim levels like the AMG G63 can be equipped with a 577-hp 4.0-liter biturbo V8 engine capable of rocketing the box from 0 – 60 mph in 4.5 seconds. The Toyota 4Runner started out life as a pickup truck with a fiberglass shell roof, and evolved quickly into one of the best SUVs of all time. 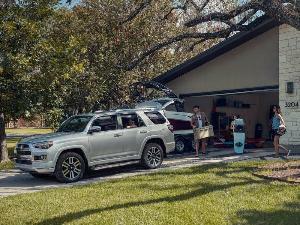 Over five generations of production, 4Runner has maintained robust body-on-frame construction and an ever-improving capability for superb performance on all surfaces. 4Runner has a well-earned reputation for durability, with many examples running strong to over 200,000 miles. 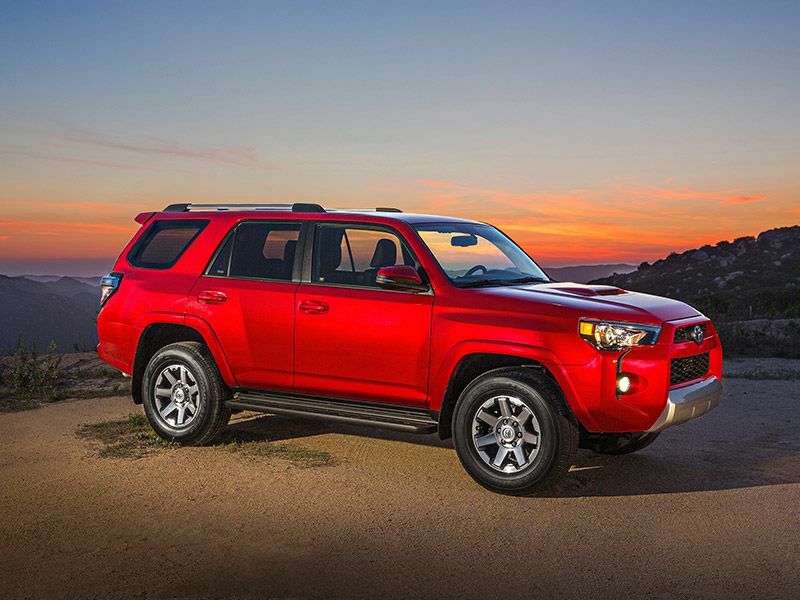 In an era that has seen the rise of the car-based crossover suv, 4Runner has only seen increased popularity thanks to distinctive styling, great ergonomics, and authentic character. 4Runner models command strong resale prices, and reward owners with an excellent driving experience both on pavement and off. Toyota Racing Development (TRD) models offer pro-level off-road capability directly from the factory, while Limited trim models include near-luxury amenities. Toyota has sold more than 6.5 million Land Cruiser SUVs over the course of production. Land Cruiser is Toyota’s longest-running series of model, with a number of variants marketed worldwide. The series really came into its own with the J40 series (1960 – 1984), a rugged SUV that looked like a cross between a Land Rover Series II and a Jeep CJ, but with a Japanese flair all its own. J40 vehicles have become highly sought after, and have spawned a restoration/resto-mod trend and a cult following. The current Land Cruiser (J200) is a far cry from the J40. 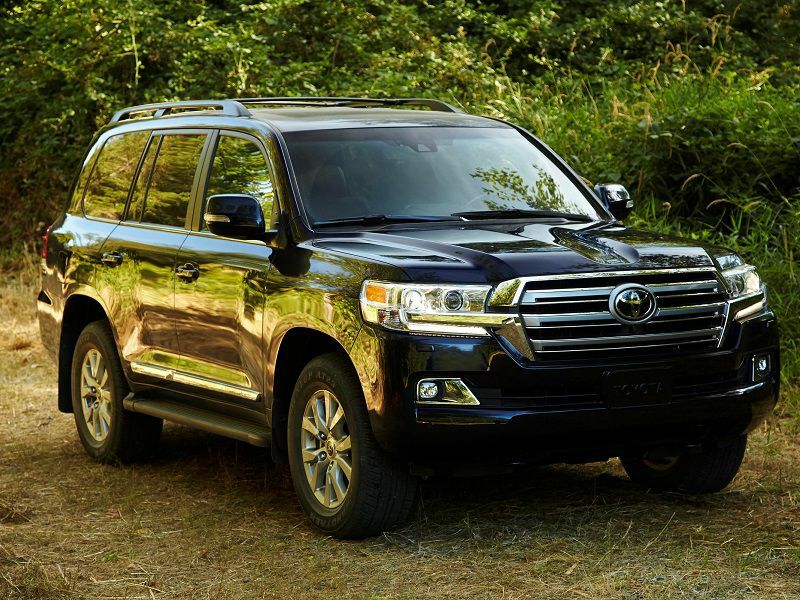 Now a full-size luxury suv (closely related to the Lexus LX 570), the Land Cruiser is a highly capable, refined, three-row SUV with sophisticated off-road technology. It retains the spirit of the original, rugged Land Cruiser, but now transports its occupants over all surfaces in modern style and luxury.